With the northern and southern Patagonian ice fields (the largest extrapolar mass of ice in the southern hemisphere) found in this region, glaciers are a feature of nature that Patagonia certainly does in style. In fact, all of Chilean Patagonia and the westernmost parts of Argentine Patagonia were once completely covered by the enormous Patagonian Ice Sheet and Patagonia holidays are never complete without a trip to one of the many glaciers found in the region. Not only a reminder of the many ice ages that once ruled the earth, glaciers are of vital importance to humans as they store 75% of the world’s freshwater. And while the worrying speed of retreat of glaciers across the globe is an urgent challenge, visitors to Patagonia will be inspired by this region’s claim to fame as the land of glaciers. A trip to explore one of these many ice giants will be a highlight of any holiday in Patagonia. The awe-inspiring Perito Moreno Glacier near El Calafata, Argentina, is top of most visitors’ vacation plans when visiting Patagonia. Thousands of visitors each year throng here to traverse the network of boardwalks which bring them into close contact with this huge glacier, which is 97-sq. miles (156-sq. km) in size and 19-miles (30 km) in length. At 240 ft. (72m) high, it’s not only mind-bogglingly enormous, but the mixture of white and dark blue patches, the latter formed by dense, compressed ice composed of little air, makes it a picture-perfect destination. While those visiting in the afternoon are more likely to see the spectacular “calving” of the glacier, as chunks of ice from its terminus crash into Lago Argentino below, El Perito Moreno glacier is famous for an even more impressive sight. Every few years, the glacier advances over the southern arm of the lake, finally reaching the far shore and creating a dam. As the meltwaters of the glacier continue to enter this section of the lake, the water rises, reaching up to 100 ft. (30m) At this point, the powerful pressure gradually pushes through, eroding the blockage to form an ice bridge as the meltwater escapes into the lake. Eventually, as it is weakened and can no longer support itself, the whole structure collapses, resulting in a spectacular rupture of ice into the milky blue waters of Lago Argentino. 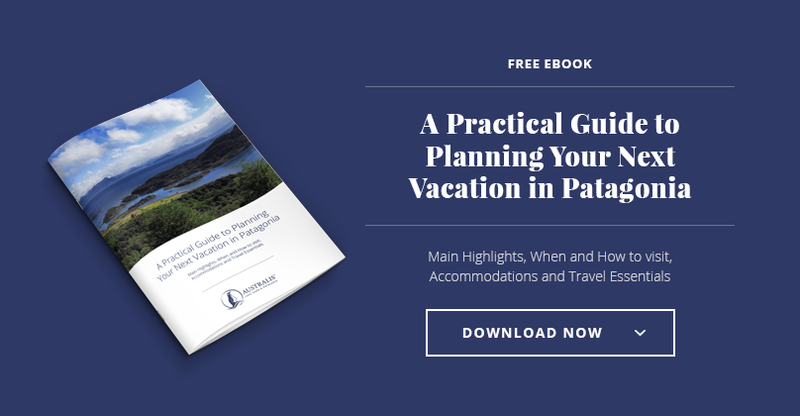 Unfortunately for those planning their Patagonia holidays, the most recent rupture occurred in March 2016 and it is only known to occur roughly every four to five years. But even beyond this remarkable spectacle, El Perito Moreno is a scientific enigma. Other glaciers such as nearby Upsala have been retreating rapidly, and although both are fed by the southern Patagonian ice field, El Perito Moreno is one of only a handful of Patagonian glaciers that is advancing. Each day it advances an average distance of six feet (two meters). While Argentina lays claims to some of the most famous of glaciers in South America, Chile is actually home to around 83% of all those in South America. One of its most impressive sights is the Pío XI Glacier, located just north of Cape Horn at the very tip of the region and a necessary part of a Patagonia holiday. Pío XI is also of considerable interest to scientists measuring the impact of climate change given that it actively advanced during the last century. Over the period between 1945 to 1976, it grew across the Eyre Fjord and cut Lake Greve off from the sea, before eventually stabilizing. Scientists hope that by studying glaciers like El Perito Moreno and Pío Xi Glacier, they can glean valuable information about the effects of changing climates upon these precious regions of the world.